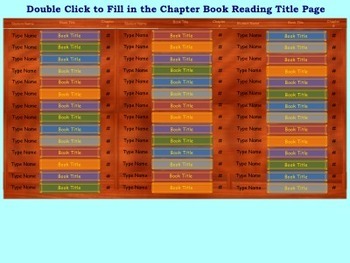 This is a great tool to use on the SmartBoard or on the computer to view your whole class's progress on chapter book reading! Each student enters their name and book title. 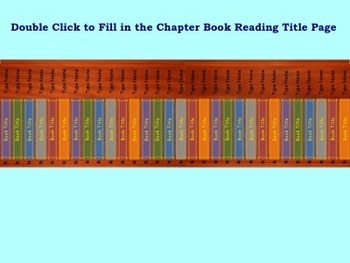 When they finish a chapter, they simply enter the chapter number. So easy to use: just double click to enter information! Comes in two different formats - you choose the one you prefer. Note: The sample photos above show the formats as a larger rectangle than what will actually appear on the SmartBoard (the SmartBoard image will be larger and not include so much blue background). Class Chapter Book Reading Tracker by Ana C. Wydeven is licensed under a Creative Commons Attribution-NonCommercial-NoDerivs 3.0 Unported License.